Julie is a fantastic trainer. I’d had a PT before who pushed me so hard that I was forever suffering with injuries and when I wasn’t injured I could barely walk for an entire 5 days. When I signed up again to work with a PT I was expecting the same kind of treatment but Julie pointed out and taught me that I don’t have to train like a demon and injure myself in order to get fit and that just because my muscles aren’t sore – doesn’t mean I haven’t worked them hard enough. I was assessed on what my body could do and where it’s weaknesses were and Julie worked with me on strengthening those weaknesses as well as guiding me to work out my entire body every session. I didn’t change my diet or any of my other habits at all and within 3 weeks, just from two 45minute sessions a week, I’d already lost 1kg and my clothes started to fit better. Julie is incredibly personable, friendly and knowledgeable and offers an incredible amount of insight and inspiration to help you dig deeper and push your own personal limits. I would 100% recommend Julie to anyone wanting a personal trainer. Julie is amazing. She is professional, motivating and passionately committed to helping you get and stay on track with your health, fitness and weight so you can feel great. She is an inspiration working as a Nurse, running a PT business, household, husband and 3 Children! Her timing is uncanny, you will receive reminder text messages to book in for your class when you have forgotten or can’t be bothered; notice of boot camps, group fitness classes, PT sessions and the like as you are contemplating eating ice-cream in front of the TV or when you’re feeling desperate to focus on your health. Her online booking system means you can sign up, pay and book in your sessions by clicking next next next… then all you need to do is show up! Alternatively you can call her and she will do it for you. Booking confirmations are emailed to you with a file you can click to insert into your electronic calendar so you don’t forget. I have trained with Julie in boot camp, small group fitness and PT sessions and have to drive half an hour each way to get to there. It is worth it. The first 10 weeks were hard but then I started feeling good, looking forward to my workouts and people started commenting on how much weight I had lost, by 13 weeks I really started to feel fantastic, notice the weight loss myself and crave my workout sessions! Wow, how things change! I have loved all of the sessions, but in particular found boot camp perfect for me, outdoors in beautiful surrounds with other women working our butts off with our kids. Do it, call her you won’t regret it. Thank you Julie, you are the best! 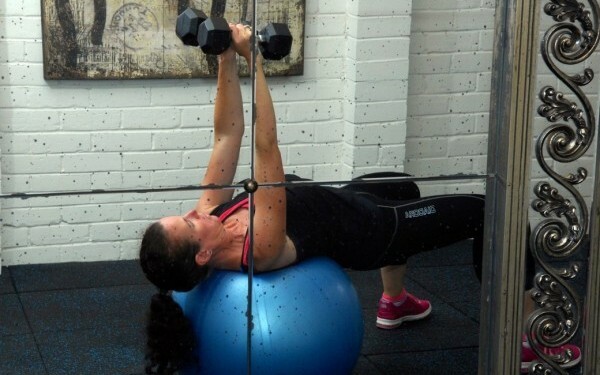 Julie is a vibrant trainer who makes each training session fun and enjoyable whilst still achieving your fitness goals. Each training session is filled with something different, making every training session something I look forward to. 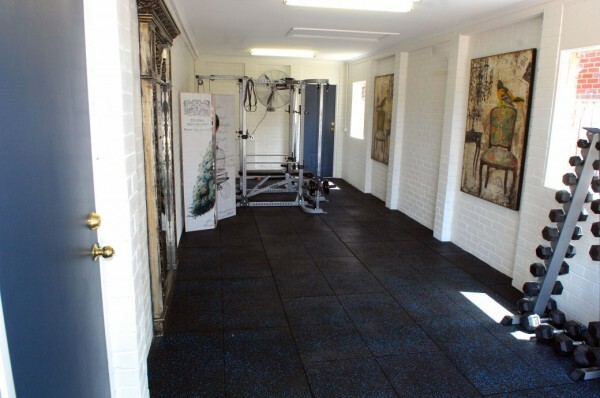 I would highly recommend Julie’s Studio 63 Health and Fitness as she turns fitness into a fun part of life. An amazing person, an amazing trainer. Hi! I am a full time stay at home mother, by choice, and happy as can be I have always longed for the day I can actually go to the gym, increase fitness and lose some extra weight too. Firstly, I’ll be honest, I wasn’t comfortable to be attending a public place, and then I wasn’t comfortable leaving my child anywhere either. I made a random phone call one afternoon, after picking up a flyer in the local area, enquiring about personal training , and after being told, I can bring my toddler, I was excited and very tempted therefore did not refuse to make a booking! It is the best decision since having children! Studio 63 has been a blessing. I have not only reached my fitness goals, I feel stronger and happier as a person. The 14 weeks I have done, are worth every bit. Timing of my call was coincidence, but perfect timing for the holiday season now and I feel more confident, stronger and most of all a happier and healthier mother! Studio 63 has displayed high level of professionalism each and every session. The sessions have been motivating, challenging and also very educational too. I now have a bigger knowledge on fitness techniques, circuits, reps and can fit it into my lifestyle accordingly. I feel so happy to have made this decision this year. My husband was very supportive of my decision, but didn’t care at first, as he thought I looked good, but now every day he keeps stating how good I look in such a short time. I chose Studio63 as I felt comfortable knowing that Julie is also a mother and a qualified nurse, so she has abundant knowledge, experience and understanding. Thank you so much! If you are a mum, please give this amazing woman a call! Please make that enquiry and share the amazing rewards! Happy wife, happy life. Well I say, happy mum, happy family! My name is Judi and I have never written a review on any business that I have ever used! This is a major exception as I have recently joined Personal Trainer Julie Clark from Studio 63 Health and Fitness, and am totally amazed at the unbelievable amount of exceptional training that is provided to me. I have been training “One on One” weekly with Julie for approx 8 weeks & am quite stunned at the major improvement to my fitness/health status achieved during this short period. The trainer is an awesome and exceptional carer of her clients & ensures the best program possible that enables a massive fitness/health improvement. I am being treated as a very important person who is achieving 100% personal training from this company – which enables overall incredible health & fitness improvement to my body & also provides extra confidence & happiness in my life. I cannot thank the top trainer Julie Clark enough for providing an exceptional work-out with Studio 63 Health and Fitness, and fully recommend any future clients who require a Top Personal Trainer – to achieve their highest health goals!